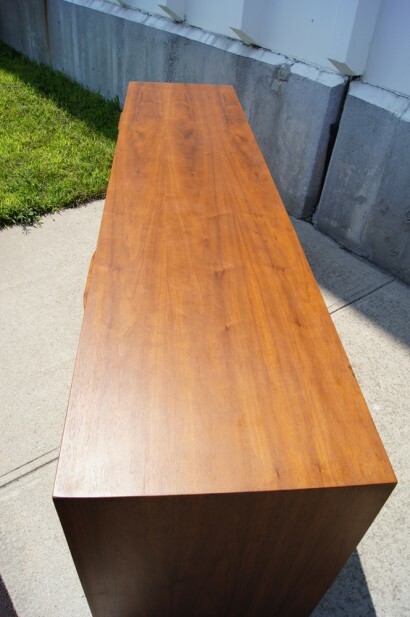 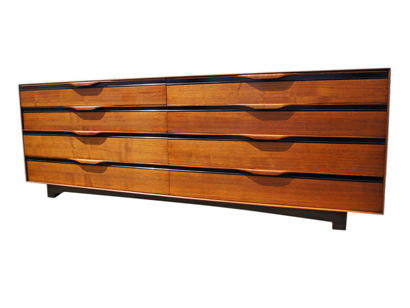 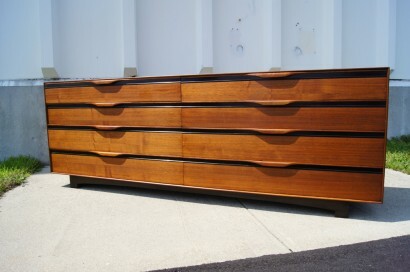 This long walnut dresser was designed by John Kapel and manufactured by John Stuart Inc. 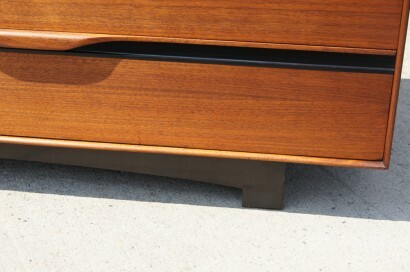 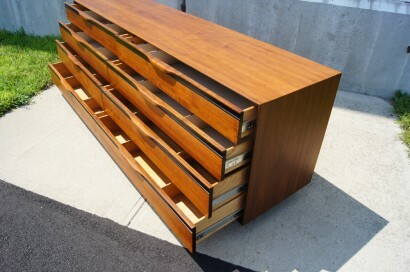 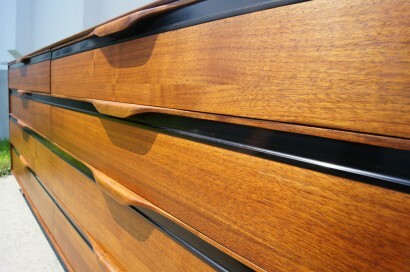 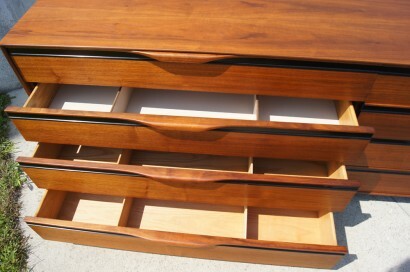 It has each drawers, each with a elegant wooden drawer pull, that each feature multiple compartments. 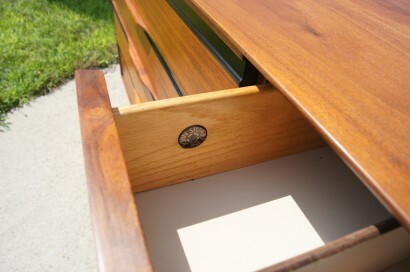 Corresponding tall chest and pair of nightstands also available.